Seventeen-year-old Renita discovers some subtle inconsistencies in her birth certificate that put her mother, Sharon’s long held account that she was adopted into doubt. Sharon decides that it is finally time to tell Renita about both the laudable good deeds and the lamentable oversights that had led them to the current situation. 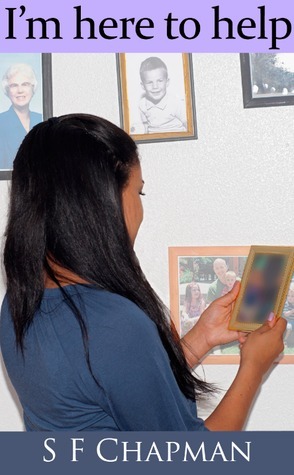 Using a series of old framed photos that have hung for years in the living room, Sharon slowly reveals the complex set of events involving a star-crossed trip to Mexico, a very young stowaway Hispanic baby sitter named Juliana, the untimely death of Sharon’s husband, the unexpected pregnancy of Juliana, the eventual birth of Renita to Juliana and finally Juliana’s struggle with clinical depression that leads to her suicide. Through some sketchy paperwork filled at the county recorder’s office, Sharon was listed as Renita’s mom. The first in several short-novels to follow, I'm here to help involves the characters (and generally society's) misperceptions about illegal immigration, suicide, the marginalization of undocumented residents, clinical depression, teen pregnancy, home childbirth and adoption. I'm Here to Help is a short story that relates the tale of a mother, Sharon, when she has to tell her adopted daughter about her past. Stumped by inconsistencies on her birth certificate, the young Renita questions her mother and learns more than she bargained for. For a relatively short story, I'm Here to Help is very complete and doesn't leave readers hanging. There's a problem and a solution, and even growth in Sharon and Renita's relationship. The story's subject isn't generally a happy one, but the characters are optimistic and loving. The story in itself is intriguing, but the execution of the story failed to do the plot justice. I'm Here to Help has big themes: grief, depression, adoption, and Chapman subtly focuses on them. Sharon tells Renita the hows and whys of her sketchy adoption in a drawn out fashion. The one problem is that the narration is too detailed for the conversation between mother and daughter. It doesn't feel natural, Sharon including details like, "'...about four in the afternoon I got up and took a shower.'" It read as if Sharon tells the story to readers, not to her daughter. Many readers will be able to appreciate I'm Here to Help. It's a quick read that will leave readers in deep contemplation.